Whether you're new to the Outer Banks, or a seasoned vacationer, the Outer Banks is a wonderful place to visit. However, with upwards of 300,000 people visiting this stretch of sand every week, consider this a handy Travel Prep Guide for your next visit. Spring is a lovely time of year to visit the Outer Banks. The beaches are usually empty due to chilly winter water temperatures and a cooler wind. The humidity this time of year is usually low, allowing you to spend more time outside without feeling like you're in a sauna. Every so often, the Outer Banks will get a big rain storm (aka a Nor'Easter), but most of the time, the weather is crisp with a hint of summer warmth in the air. Seasonal restaurants and shops open around Easter and just coming out of hibernation. During spring, it's easy to find great hotel and vacation rental deals up and down the beach for your stay. If you love seafood, you'll also be treated to the short, but delicious local scallop season. The spring is a great time of year to visit and get fantastic photographs of the Outer Banks. You have all the beautiful light of the springtime, without the throng of people in your shot. Pro Tip: Spring is an excellent time of year to visit Nags Head Woods and Pea Island Wildlife Refuge to see migratory birds and other springtime animals enjoying nature's awakening. Memorial Day through Labor Day on the Outer Banks is the busiest, most sought-after time of year to visit. Most kids across the country are on summer vacation and families gather together to spend a week or two on the beach. 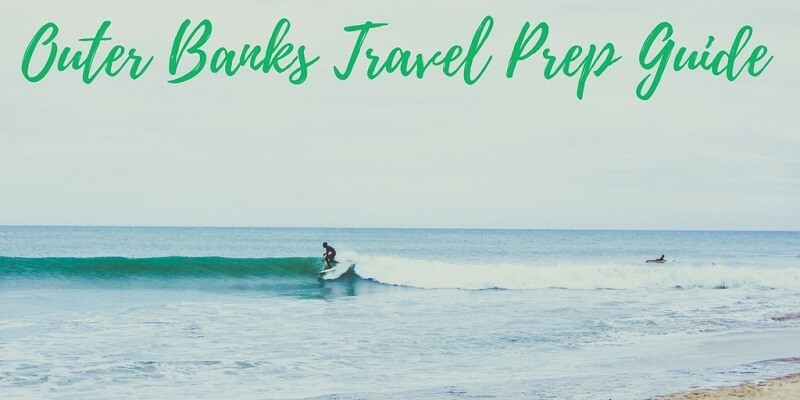 It's a great time of year to visit the Outer Banks, but prices are at their maximums, traffic is thicker, and the beaches are crowded. The best part of the summer are the long days and great weather. Occasionally, there's a short afternoon thunderstorm, but it typically passes quickly during dinner time - just in time to catch a late night round of mini-golf. During the summer months, visitors have the opportunity to take in a performance of The Lost Colony in Manteo, which only runs from June to August. The summer months also boast amazing seafood, from freshly caught shrimp to the famous soft shell blue crab season. If you're traveling with a larger group and want to take advantage of the plethora of locally-owned restaurants, try calling ahead to reserve a table as wait times can get long. September and October are the best months of the year to visit the Outer Banks. After Labor Day, most kids return to school and there are fewer tourists in general. The temperatures are still as warm as mid-summer, with significantly less traffic and fewer people on the beaches. Restaurants and shops remain open well into October to give you the same experience as the summer, without the max prices and large crowds. Even though Autumn is regarded to be the best time of year to visit, it's also the time of year for hurricanes. Hurricanes aside, the Autumn also allows the trees to change color later in the year. If you're a nature lover or photographer, be sure to catch the sunrises and sunsets for some amazing lighting. Pro Tip: Make certain you have travel insurance to cover either a full or partial trip cancellation due to natural disasters. This is not a common travel insurance policy to have, so make sure your policy covers it. Most locals consider the off-season to be November through February. During this time, many local establishments close for the season. Vacation rentals and hotels are usually at their lowest prices, but there's also less to do up and down the beach. December is a fun month to visit the Outer Banks. Depending on whether it's an El Nino or La Nina year, December can be quite warm. In the town of Manteo, you'll find The Christmas Shop, perfect for all your holiday needs and desires. Downtown decorates and has a beautiful Christmas tree lighting on the first Friday of December. If you time your visit just right, you may be able to catch the holiday lights tour at the Elizabethan Gardens. By January and February, it's quite cold and the Outer Banks can occasionally see snowfalls. The wind comes from the north and cools everything down from the hot summer and warm autumn. It's during this time you'll start seeing locals get a little stir crazy and ready for the summer rush again. Depending what you're looking for in an Outer Banks vacation, there's a perfect time of year for anything. If you want to get away and curl up inside with a great book and mug of hot cocoa, the off-season is best for you. If you thrive on meeting new people, being with family, and being on the beach from dawn to dusk, the summer has your name on it. No matter what suits you, the Outer Banks is an ideal destination any time of year.